David Copperfield is speaking out about the #MeToo movement amid a new accusation of sexual assault. In a lengthy statement voicing support for victims of sexual abuse, the illusionist spoke out hours before a former model told The Wrap that in 1988 she was drugged and assaulted by Copperfield after meeting him at a modeling contest the celebrity was judging. Then 17, Brittany Lewis said Copperfield invited her to a show in California. Following the show, she claimed he invited her to a bar and noticed him pouring something into her glass. Lewis said she then "blacked out," but remembers Copperfield kissing her and taking her clothes off. The next day Copperfield allegedly told the teen he did not penetrate her and made her write a letter "saying she was okay." Lewis said she reported the accusations to the FBI in 2007. 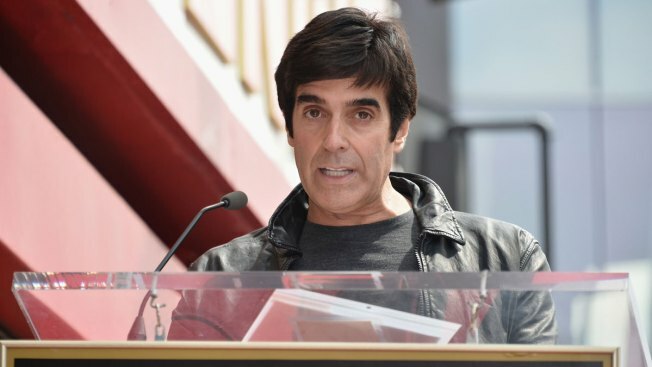 Copperfield wrote on social media Wednesday, "The #MeToo movement is crucial and long overdue. We all want people who feel they've been victims of sexual misconduct to be empowered, and as a rule we should listen, so more will feel comfortable coming forward. It's important." "But imagine what it's like," he added, "believing in the movement, and having also been falsely accused publicly in the past." The 61-year-old magician concluded his statement with a plea, alluding to the "storm" he is currently going through. "So while I weather another storm, I want the movement to continue to flourish," Copperfield said. "Always listen, and consider everything carefully, but please for everyone's sake don't rush to judgment." E! News has reached out to Copperfield's rep and attorney for comment.